Masterfully planned to exceed expectations and tucked away on a quaint cul-de-sac at the crossroads between Uptown and River Oaks, this home affords refined city living with the MASTER SUITE DOWN + ELEVATOR + GENERATOR. Careful attention to every detail and a neutral palette of luxe finishes have been applied to create a special home filled with extraordinary comforts: French grey washed wood floors throughout, all bedrooms en suite, exceptional accommodations for storage, Master wing with 11 ft ceilings + 25' x 16' divided Master closet and gracious Master Bath with dual water closets, secondary full cabana bath, focal point Kitchen with farm sink, pot filler, innovative Bosch side hinged double ovens, Wolf commercial style gas range,  warming drawers,  dishwashers,  refrigerator/freezers, Miele coffee grinder/maker, Miele steam oven, climate controlled Wine Vault, wet bar, Outdoor Pavilion with retractable screens, and well appointed Summer Kitchen. NO PREVIOUS FLOODING. 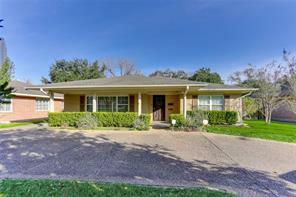 Fantastic 5719 square foot home on double 16,748 square foot lot minutes from the Galleria,Greenway Plaza,Med Center, Rice & DT allowing for pool, tennis/sport court, large gardens, guest house, play space, etc. Home includes 5 fireplaces, large entertaining spaces on both floors, wine room, incredible Master Suite and Bath, wonderful walls for art, plus allot more. Interior completely painted in April. See attached Features List. Accompanied appointments, preferably with 24 hours notice. 4519 Shetland (8280 sq. ft)is available for purchase with 4523 allowing the home owner to have over 1/2 acre of land. Do not miss, as an opportunity like this inside the loop is rare ! 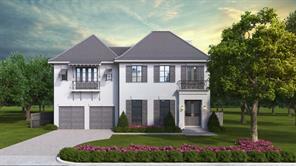 Fabulous new construction by Lovett Homes in the highly desired neighborhood of Afton Oaks. 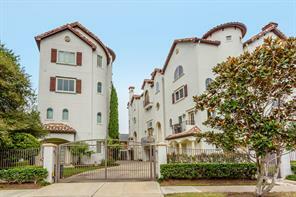 Fantastic location close to fine dining and some of Houston's best shopping in Highland Village, The River Oaks District, and The Galleria. Wonderful open floor plan designed for entertaining and family living. Secondary master on the first floor with large bathroom featuring a tub and large walk-in shower. Main master is up with 2 massive closets and a luxurious bath. All secondary bedrooms are quite large and have en-suite baths. 3 car tandem garage, installed elevator, 2 laundry rooms, and backyard with plenty of room for a pool. Chef's kitchen features double islands, marble countertops, and Thermador appliance package with built-in 36" refrigerator and 36" freezer,warming drawer, convection ovens, and range top. Butlers pantry with wine column and wet bar with ice maker. Wood flooring throughout, no carpet. 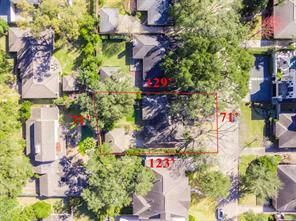 Don't miss this wonderful opportunity in one of Houston's best neighborhoods. 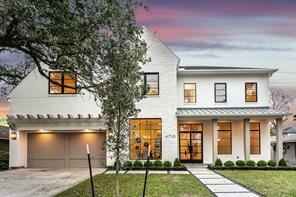 Stunning soft contemporary home situated on a premium 10,440 SQFT corner lot in Afton Oaks. 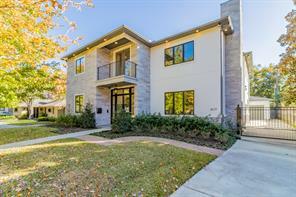 This tree-lined neighborhood, best regarded for easy access and walkability to retail and restaurants in Highland Village and River Oaks Shopping District also affords quick access to Greenway Plaza and the Galleria. Constructed in 2017 this home's thoughtful layout produces an ambiance of effortless style, a haven perfect for family and entertaining! Integrated smart home and protection systems. Property has never flooded! Pool permits are in place for renderings by Platinum Pools! 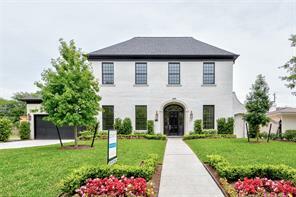 Spectacular new construction nestled in a prime location on a culdesac street in Kettering Oaks/Afton Oaks. 6 bedrooms, 5 full bath and 2 powder rooms. This exceptional design offers the master and secondary bedroom down, which includes a dramatic entry with grand foyer. The well designed floor plan on this distinguished home has a study down and a gorgeous gourmet kitchen that opens to the breakfast room, overlooking the back patio view with an expansive family room/den. Many other special detail areas and amenities such as, the mud room, butlers pantry, wine room, outdoor kitchen with covered patio, game room, media room, elevator shaft, "Smart Home" system and an abundance of storage areas. Incredible opportunity to live near all the best Houston has to offer! Shopping at the Galleria and River Oaks District with the medical center minutes away. Highly respected builder-Partners In Building. A Spectacular Mediterranean Masterpiece with elegant flow and sophisticated architectural details in a highly desired Afton Oaks location. Gorgeous interior finishes. Energy efficient. High ceiling. Large formals. Master down w/His/Hers clsts. Study,Game Rm. Second floor terrace. Truly an amazing home not to be missed. Close to all the high end shopping, restaurants and entertainments. More interior rendering to follow. Outstanding two story new construction by Sherpa Construction with rare master down in West Lane Place will be completed mid-summer. The charming plastered brick exterior features an iron and glass front door which opens to a two story entry hall. The first floor has a great floorplan for entertaining with double height family room, dining room and island kitchen. There is a handsome private study off the entry with a wall of built-ins. A covered outdoor area is accessed from the breakfast room and master and features a summer kitchen and fireplace. The back yard has room for a pool. The second floor has 3 additional bedrooms, including the option for a second master, and a gameroom. Elevator capable. Hardwood floors throughout. 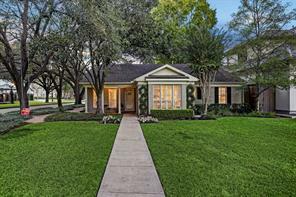 This ideal address is conveniently located near Highland Village and The River Oaks District. A great opportunity to customize a new home in a sought after location. 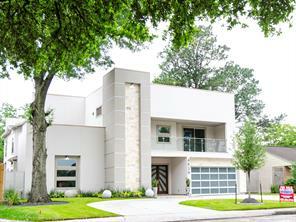 Modern elegance in this new home in sought after Afton Oaks neighborhood. Open Island kitchen with high-end appliances. Large family room with high ceilings, spectacular chandelier and custom fireplace. Spacious dining room and large study. Wonderful master with gorgeous master bath & huge walk-in closets. Four large bedrooms with master downstairs. All bedrooms have large walk-in closets and private baths. Large balcony in front and outdoor kitchen off the patio. Media theater downstairs. Insulated Glass tint, Low-E, Argon Gas Windows, leaf Filter Gutter Protection, In ceiling speakers, Sprinkler System, Tankless/On-Demand, Security System. Easy entry/exit to Richmond Ave. with semi-circular driveway. New Construction by Refined Custom Builders. Property has top of the line finishes and features. Fabulous open kitchen with large island that can seat 4/5 people, butler's pantry just off the dining room with a wine refrigerator. Large family room with built-in shelving and cabinets. Elegant dining room with fireplace. Study with custom built-ins also. Beautiful master bedroom with lots of natural light, mast bath has double sinks, soaking tub and a huge shower. Large walk-in closets with custom wardrobe mirror. 3 large additional bedrooms upstairs with en-suite baths and large closets. Huge media room and game room upstairs. 2 laundry rooms one on each floor. Elevator capable, unfinished pool bath. This is a smart home on Control 4 system with 6 cameras surrounding the property. Pool renderings have been done for this large lot. Approach 4722 Shetland to find a warm timeless home just completed by regarded development firm, Ashton Gray. Arrive to a wrought Iron entry door through a canopy of Oaks to reveal the homes flawless floor-plan & grand scale windows providing an abundance of organic light into the home. Approximately 5,060 SF of living space, the home features 5 bedrooms, 5 & 1 half baths with walls of glass that seamlessly integrate indoor & outdoor living spaces. Off the foyer, an opulent living room with gas log fireplace & built-ins. A Great Room spans over 40’ & features a prestigious island kitchen with top tier appliances which flows into a grand dining room. Master wing on main level accommodates a fine bathroom with his & her vanities & closets, soaking tub & rainfall shower which all showcase unprecedented craftsmanship. Upstairs: 4 generous ensuite bedrooms with hardwoods & a secondary living area with access to a covered balcony. 2 utilities rooms & full automation capabilities throughout. Built by Unika Homes in desirable Afton Oaks! A brick facade, double iron door & wood columns set a warm tone at the entrance of this gorgeous home. 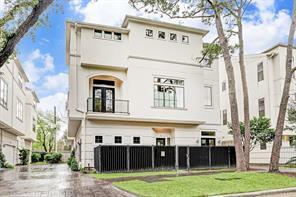 High ceilings, natural light throughout with over sized windows and custom iron doors. White oak floors throughout. Family living room offers a gas fireplace with a Venetian plaster finish. High end appliance package with built-in refrigerator included. Master down. Study down. 2 Utility Rooms. 4 bedrooms upstairs with spacious game room and media theater. Outdoor covered patio and outdoor Trellis area with ample backyard space and room for a pool! Builder to finish out summer kitchen and patio flooring per buyer selection. Three car garage. This home features carefully curated interior selections and finishes. Desirable North/South facing location. Come and visit this beautiful home! 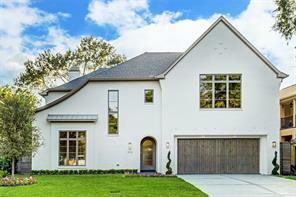 Spectacular Custom Home by Michael Thurman in the highly sought after Afton Oaks neighborhood- truly the heart of Houston; only minutes from the Galleria, Highland Village & The River Oaks District - all of Houston's most exclusive & distinctive shopping & fine dining. Upon entering this beautiful French Chateau style stucco home, you are greeted by a luxurious foyer with winding stairs to the second floor & a beautiful study with warm wood floors & built in shelves. The formal dining room & wine room sit just to the right of the entry. 5 spacious bedrooms in the main home & guest suite above the garage. Sqft of guest suite is not included in the sqft listed above. 2 bdrms upstairs are connected with shared bathroom - all other bedrooms have private en-suite bathrooms. The chef's kitchen is equipped with granite counters & stainless steel Viking appliances. Relaxing outdoor covered patio with summer kitchen & fireplace, gorgeous pool, elevator, media room & amazing master closet!! 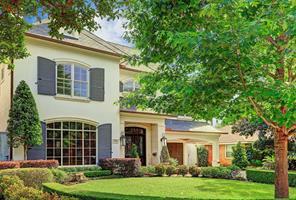 This lovely French country style home is situated in the heart of one of Houston’s most desired neighborhoods. Standing at the front of this property, you will be taken with everything within your 360 degree view; The Oak trees might be worth their weight in gold! 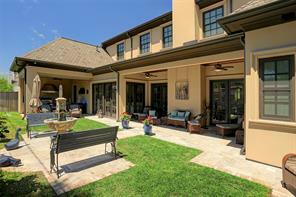 At 5 bedrooms & 7 baths, this Afton Oaks home provides a fantastic entertainment layout downstairs, with ample bedroom and flex space on the second and third floors. Conveniently secluded in the Northwest corner of the home are guest quarters perfect for your visiting friends or family. Other features include hardwood flooring, professional grade kitchen appliances, plantation shutters, a 3-car garage, surround sound throughout living and outdoor areas, a gorgeous pool & outdoor entertainment area built in 2016, and much more. Proximity to Highland Village and the Galleria make dining and shopping overly convenient! Come see this amazing property, fit for a lively and active family, today! Video soon! 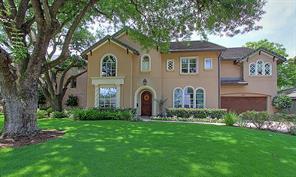 Exquisite European custom home on gorgeous tree lined street in desirable Afton Oaks. Designer features include hardwood and antique limestone floors, barrel brick ceiling, mahogany paneled study/formal living and graceful curved staircase. Home automation system. Wet bar w/wine closet, large island kitchen with professional appliances open to family room. Master retreat featuring his/her baths & large closets. Separate game/media rooms. 3- car garage. Gorgeous family home! Did not flood. 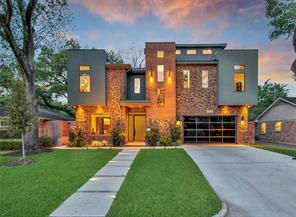 Beautiful custom-built home by Dan Parker for himself on a cul-de-sac street. 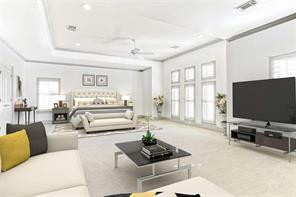 Casual elegance throughout this fantastic floor plan. Wonderful for entertaining, this home boasts a large 2 story foyer with sweeping staircase, spacious formals & the wet bar that is centrally located to the living, dining & kitchen areas, makes entertaining a breeze! Large island kitchen w/soaring vaulted ceiling & wood beam, wall of windows overlooking the backyard & pool, granite counter tops, SS appliances & an antique stove in an arched brick alcove reminiscent of a European kitchen + breakfast area. Master on 1st floor w/ spacious en-suite, sun room & study. 4 bedrooms & 2 bathrooms on 2nd floor. Off the kitchen is hallway lined w/French doors overlooking the pool w/access to the guest suite & family room. Austin stone was used for the patios & edging of the pool w/waterfall feature is completed w/several various sitting areas & lush landscaping! Too many updates to list. Home did not flood. Nestled in Afton Oaks, one of Houston’s finest, tree-filled neighborhoods, this refined respite exudes elegance & sophistication. The foyer beckons you with a herringbone wood floor overlooking a courtyard, with European-styled transom French doors. Designed for entertaining & ease, an open floor plan flows effortlessly through the living room, den, kitchen, outdoor covered patio, summer kitchen & pool area. Exposed brick wall, high beamed ceilings, posh light fixtures, walls of windows & elegant hardwood floors illuminate the living spaces. The kitchen is appointed with the finest of details: honed granite counters, subway-tiled backsplash, island seating & luxurious appliances including Wolf & Sub-Zero. The backyard offers pool, spa, summer kitchen, covered patio & side yard for pets & gardening. The Master Retreat welcomes you to serenity with spa bath & celebrity closet! 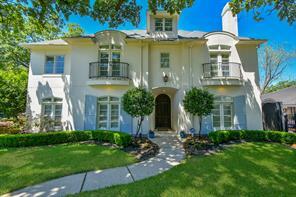 Easy access to River Oaks District, Highland Village, Galleria & Uptown Park! This stunning, modern home is a masterpiece in design, exquisitely finished with obsessive attention to detail. Located in the prestigious neighborhood of Afton Oaks, this home is conveniently located to it all! With curb appeal galore the exterior is artfully blended with stucco, stacked stone and beautiful wood paneling. Inside, you are welcomed with fine finishes throughout, 35 ft. ceilings, a spectacular 25 ft. chandelier, a beautiful waterfall island Kitchen and let's not forget the wine grotto and theatre room! A step outback reveals a resort style pool and hot tub, a gourmet outdoor kitchen and a roof top deck that holds up to 45 people. Come and walk this custom beauty to see for yourself! Don't forget to virtually walk this home with our Matterport Tour! Stunning remodel beginning in 2015. Enter the double Mahogany front doors to gorgeous chiseled edge Travertine floors throughout first-floor area. Climate controlled wine room added with custom doors and custom on-site built wine bins and corking table with accent lighting. All baths in the home have been remodeled with beautiful tile(s) and stone. Walls have been pushed back between kitchen and den allowing ease of entertainment and beautiful open plan. The backyard too has been totally redesigned with gorgeous pool and hot tub, custom fence, abundant trees and accent landscaping along with pitched A-Frame roof over outside summer kitchen, entertaining area and stone fireplace. The second floor has a large open space at the landing which is the casual living space for the family central to all the bedrooms. On the third floor/ flex room, you again have a large open space with full bath. Perfect for a bedroom/media room/work out room, you name it. Carve your own space! 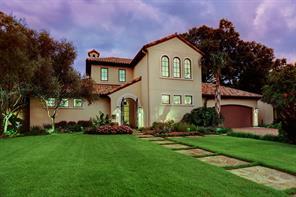 Immaculate Mediterranean Home with Mature Landscaping and a Salt Water Lagoon Style Pool and Hot Tub. The Elegant Interior has a functional layout for day to day living as well as entertaining on a grand scale. Features include: Tile Roof, Limestone Accents, Cherry Wood Cabinets, Chiseled Edge Turkish Travertine Flooring, Groin Vault Ceiling, Wolf, Sub-Zero, & Bosch Appliances, Summer Kitchen & Pool Bath, Master Suite with Private Terrace. Moments from Shops, Restaurants, and other amenities. Gorgeous Afton Oaks custom home designed and built by Kurt Aichler. Repeated Groin vaulted ceilings line the entryway and access to backyard. This home features a master suite and sitting room down with large custom closet. The master has a fireplace with French doors that lead outside from both the sitting room and bedroom area. Owner used Brazilian Cherry wood floors in the living room and Formal dining with Mesquite used in the master wing and upstairs. Vaulted ceiling in the kitchen means a lot of light fills the room. Custom triple edge Oggie counters are used in the kitchen, pantry, bar, laundry and wine room. All kitchen and bar cabinets are Wood-Mode. Kitchen has all SS appliances with separate warming drawer. Upstairs there are two additional bedrooms and baths with a large Den/Study/Rec-room. The home features an elegant pool with water fall. The gardens of the home are like those out of a magazine.Truly a pleasure to show and a treat to see. Excellent opportunity for builders who are looking for prime real estate with plans and permits to develop 5 single family private residences. Excellent opportunity for builders who are looking for prime real estate with to develop 5 single family private residences and anything else investor wishes. Do not miss this opportunity! Amazing location inside the loop minutes from Highland Village, River Oaks District, the Galleria, Memorial Park, restaurants & more. 9,000 sq ft interior lot to build your dream home! 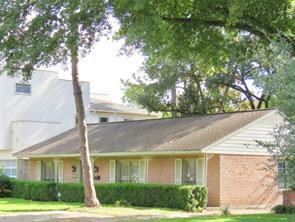 4-unit apartment complex for sale in prime location near the Galleria. Surrounded by new construction and townhomes. 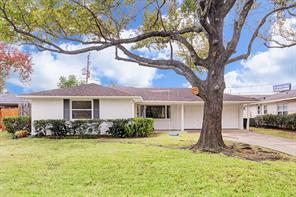 Meticulously updated one story ranch in Afton Oaks. Remodeled extensively in 2015. Two bedrooms, two baths, formals, den and kitchen with breakfast area. Air conditioned and built out garage could be additional living space. Gorgeous and thoughtfully planned landscaping by Coyle & Assoc. including all white blooming back garden consisting of jasmine, azaleas, boxwoods & English Ivy. Outdoor hot and cold Japanese tubs. Automatic driveway gate and porte cochere. Outdoor grill. Gorgeous, thoughtfully designed, beautifully landscaped, free-standing 2013 patio home w/ Mediterranean flair & covered patio w/ plenty of yard for pool. Eastern exposed end unit offers abundant natural light, 1st floor living/dining & elevator shaft to all 3 floors. Beautifully appointed interior features rich hardwoods, warm neutral palette, plantation shutters, generous room sizes, handsome built-ins, abundant storage & tasteful decorator touches throughout. Well appointed, slab granite island kitchen features top of the line appliances, breakfast counter & opens to spacious family room w/ handsome built-ins & built-in surround sound. Superb location just blocks from world class shopping/dining venues of The Galleria, River Oaks District & Highland Village. Adjacent to the multi-million dollar residences of prestigious Afton Oaks, Banning offers easy access to Whole Foods, Central Market, Greenway Plaza, Downtown, Texas Medical Center & Memorial Park. 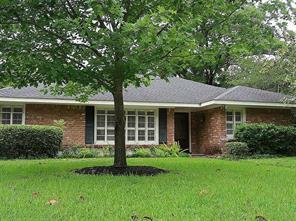 Absolutely charming Afton Oaks brick home sits on a large lot framed by mature oaks. Formal Living and Dining rooms boast gorgeous hardwood floors, plantation shutters, and recessed lighting. Updated Kitchen with granite counters and stainless appliances. Three Bedrooms and two Updated Baths. The Master Bedroom is generous and offers a large walk-in closet plus a second closet. Wonderful large deck and paver patio sit under the canopy of a majestic oak tree in the backyard. All AC ductwork was replaced in 2018 per seller. 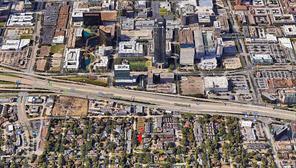 Convenient location just minutes from many restaurants, Galleria and Highland Village. Come take a look! 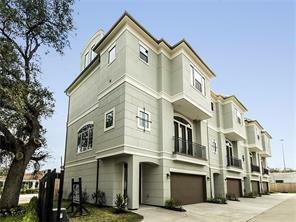 Immaculate townhome in Afton Oaks rivals new construction and has been thoughtfully maintained. Three bedrooms with private baths, open concept dining and living with balcony, gourmet kitchen with ample cabinet and counter space and stainless steel appliances. Neutral colors with high end finishes and flooring throughout. Convenient location provides easy access to River Oaks District and Highland Village shopping and dining. 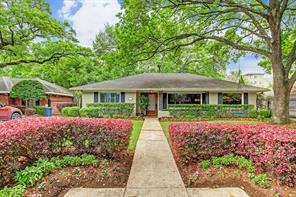 Gorgeous updated one story on an oversized lot in Afton Oaks/Galleria Area! This home is move-in ready and will not disappoint. High ceilings in living room and master bdrm. Master bdrm has french doors that lead you to the backyard oasis, great view of the pool and lush landscaping. Travertine throughout kitchen and both bathrooms. Large custom shower in master bdrm. Open concept between kitchen and family. Lovely granite countertops and stainless steel appliances in the kitchen. Beautiful hardwood floors, double pane windows. Plumbing, electrical and insulation 2010. Washer and Dryer convey with home. Furniture can be negotiated. Are you looking for something move in ready that you could possibly build on in the future? This home was completely redone in 2009. The back portion of the home was added onto for extra square footage. The electrical & plumbing were all replaced at that time. The kitchen is to DIE FOR with custom made cabinets and stunning marble floors throughout. This is one of the largest move in ready single story homes in Afton Oaks. The owner also put in a circle driveway so there are no issues pulling out onto Richmond! Luxury Townhome walking distance to Highland Village. Features beautiful wood floors, an elegant staircase with soaring 3-story ceilings, plantation shutters, high-end stainless-steel appliances, remarkable closets & storage on every floor, great natural light, & a fireplace. Entire 3rd-floor Master Retreat has a decadent Roman-style bath, his/her shower, his/her sinks & huge master closet. Fully fenced front yard, back patio, & balcony give you many outdoor options for your plants & pets. Near Memorial Park & has neighborhood patrol. Large space for a future elevator. Live in Afton Oaks and walk to the River Oaks District! This lovely patio home features three outdoor spaces, a great floor plan, and a true Master Retreat! Through plantation shutters, abundant natural light flows in home creating a welcoming and warm feeling. The sizable secondary bedrooms are situated on the first level along with a full bathroom. The second level offers an open floor plan w/ hardwoods, large kitchen with SS appliances + granite counters, and a powder room. The third-floor master retreat features a large bathroom and a closet to die for! The home is elevator capable with access to all three levels and has no HOA fees. Give me a call for a private showing today! 4/2/2 single-family home situated on a gorgeous treed lot in prestigious Afton Oaks. Quarters with kitchenette, full bath and loft style bedroom. Circular drive with plenty of room for guests, private parking court with attached carport and 2 car garage. New roof (installed 1/2018), French drain system, & tankless water heater. Generous room sizes, large formal dining and living room with FP and views of backyard, large in-house utility room, eat-in kitchen with island, tons of cabinetry and wet bar. Standalone home in Afton Oaks area, with no HOA fees(Never Flooded!). Zoned to sought after schools (St. George Elementary/Lanier Middle school). Beautiful/unobstructed view of Galleria’s skyline from master and third floor bedrooms. 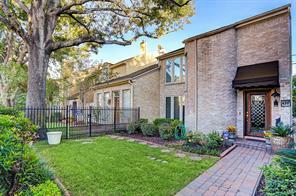 Close proximity to all major businesses, shopping and restaurants in Galleria area and River Oaks district. Open plan with kitchen/living on first floor, with wood flooring on first floor and master-bedroom. Island kitchen, custom cabinets, granite countertops and stainless steel appliances. Masterbedroom with additional sitting area, and separate his/her closets. Spacious third floor bedroom. Private patio area. This home is easy to show. 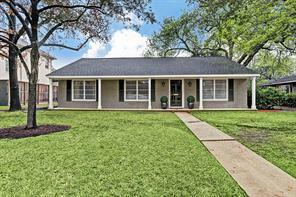 Located in the heart of the Galleria, walking distance from the Galleria Mall, William's Tower and Fitness Center this home screams location location location. Although the location is an amazing part of this property that is not all 4743 Ingersoll has to offer. With stone countertops, subway tile back splash and updated appliances that will remain with the property as a home owner you will not be disappointed. The stainless steel Samsung digital refrigerator will remain with the property along with the front loading washer and dryer. Call Showing times for appointment one Hour notice required. 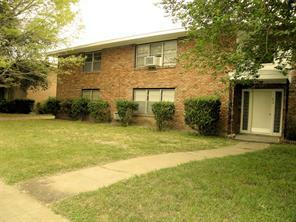 opened at North Star Annie Ortiz 1321 Antoine Dr. Houston, Texas 77055 .Buyer to verify all info contained herein. Thanks and Happy Showing! Notice to Buyer Bedroom 6 and study are the same and can be used for either use. Wonderful traditional Ranch style home in coveted Afton Oaks Subdivision. Exterior and interior painted 2017, 3 bedrooms, 2 baths, open kitchen to the Family Room, Formal Living open to Formal Dining. Covered front and back patio. 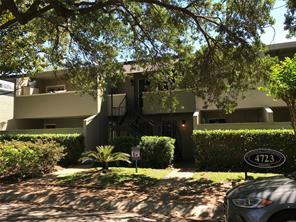 Amazing location inside the loop and minutes from Greenway Plaza, Galleria, Downtown, Medical Center, Rice University and all the finest restaurants! 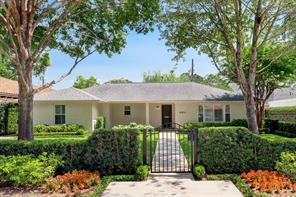 Located in sought after Afton Oaks neighborhood. Live now or build your dream home. Adjacent to two New Constructions. Enjoy a cozy backyard with a pool surrounded by mature trees. 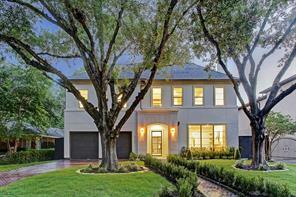 Minutes from Galleria, Highland Village, New River Oaks District. Great restaurants and shopping. Please verify room measures. Priced to sell. This home will not last! 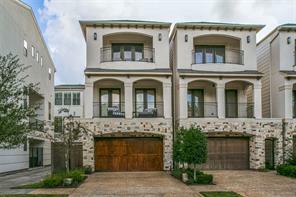 LUXURIOUS MEDITERRANEAN 4-STORY TOWNHOME IN A SMALL GATED COMMUNITY IN THE HEART OF HIGHLY SOUGHT AFTER AFTON OAKS! FRESHLY PAINTED AND READY FOR IMMEDIATE MOVE IN! HIGH QUALITY FINISHES THROUGHOUT. GORGEOUS STUCCO EXTERIOR WITH TILE ROOF, SOLID WOOD GARAGE AND FRONT DOORS. MULTIPLE BALCONIES! GORGEOUS CURVED STAIRCASE WITH IRON RAILING. THREE BEDROOMS WITH THE GUEST BEDROOM ON THE FIRST FLOOR WITH PRIVATE PATIO. MASTER WITH LUXURIOUS BATHROOM AND ANOTHER BEDROOM ON THE FOURTH FLOOR. LARGE LIVING ROOM/DINING ROOM COMBINATION ON THE SECOND FLOOR WITH 2-STORY TALL CEILINGS, BEAUTIFUL KITCHEN WITH GRANITE COUNTER TOPS AND STAINLESS STEEL APPLIANCES. POWDER ROOM ON THE SECOND FLOOR. THIRD FLOOR GAME ROOM OPEN TO BELOW. CLOSE TO EVERYTHING! GORGEOUS WOOD AND STONE FLOORING IN THE COMMON AREAS. COME BY AND VISIT TODAY! Tenant occupied until 9/30/19. Scheduled showings will be coordinated with an approved offer. Come see this captivating home! Dramatic entry into custom designed recently remodeled townhome. 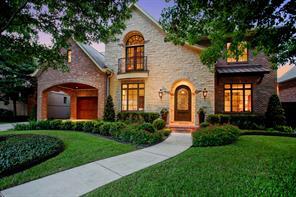 Fabulously located across the street from River Oaks District Shopping Center. Stunning marble floors, cozy brick fireplace, granite counter tops, Jenn-Air Luxury appliances & Brookhaven kitchen cabinets. All bedrooms up. Oversized master w/vaulted ceilings. Garage floor tiled with dealership grade tile & maximum built-in storage. All furniture remains except for items excluded. Landscaped grounds with pool for the residents of this small complex of town homes. DID NOT FLOOD DURING HARVEY. Information per Seller. 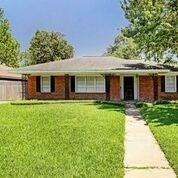 Well priced property located in desirable Afton Oaks. Three bedrooms with baths. Nice size kitchen and living room with den and formal dining room. Charming condo nestled just inside of the 610 loop, this 2 bedroom 2 bathroom condo features ceramic tile flooring throughout, granite kitchen countertops, new interior paint (walls, trim, molding), fresh exterior paint, new shower doors, new appliances (refrigerator, cooktop range, wall oven), stackable washer/dryer, and a large private patio with views of Williams Tower. Easy access to Loop 610, HWY 59 and I10 makes for convenient travel. Zoned to highly acclaimed schools and location is fantastic! HOA covers grounds, water, exterior maintenance, and pool.